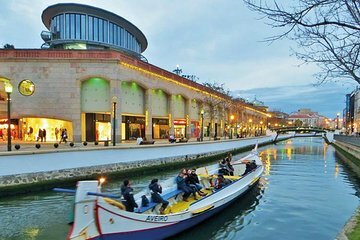 Head to the quaint city of Aveiro and the coastal beaches of Costa Nova on this private full-day tour from Lisbon. Discover Portugal’s ‘Little Venice’ and take a cruise along the ancient waterways lined with colorful homes and buildings. Then head to the beaches of Costa Nova and observe beautiful exotic birds that have made this area their home.